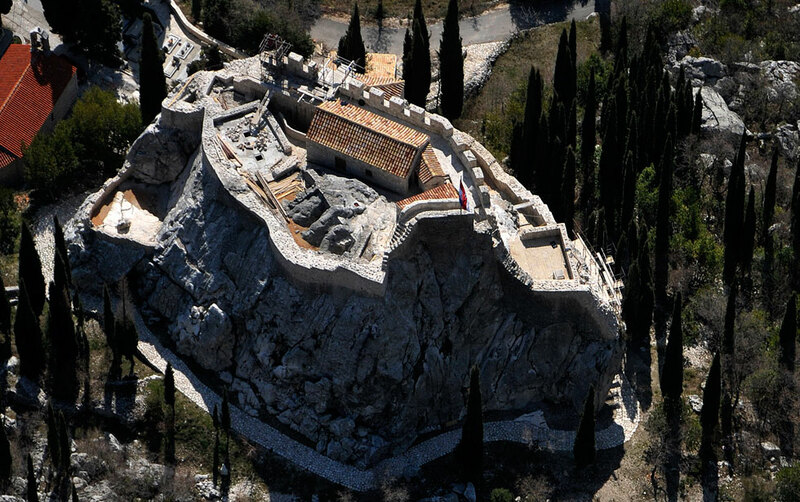 On Sunday, the 21st of April 2013 was the grandiose opening of the reconstructed Sokol tower in Dunave - Konavle. Visitors enjoyed a medieval crossbow tournament held by the Association of Crossbowmen from Rab island. In addition to the fortification, whose history goes back to the Chalcolithic, 4,000 years ago, the Sokol tower also houses an archaeological collection of jewelry, decorative and utilitarian objects and weapons from the Copper, Bronze and Iron Age, through the Classical era and the Middle Ages.